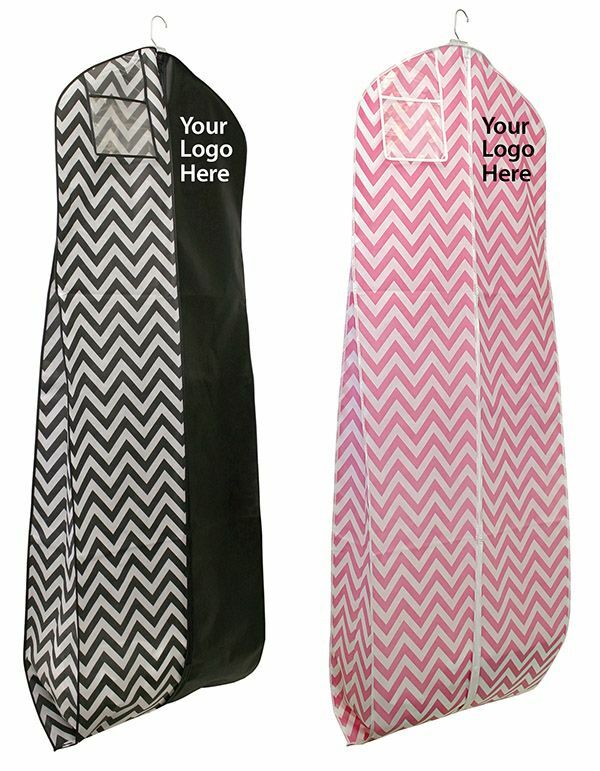 The latest in garment bags from The Bridal Outlet, in pink-and-white or black chevron pattern. The Bridal Outlet continues to add new products to its popular garment bag line. Recent additions include pink-and-white or black-and-white chevron pattern bags. These non-woven garment bags are 24 x 10 x 72", heavy duty 75 grams, and are designed for bridal gowns, MOB or prom dresses. The bags are PH neutral, water resistant, acid free, breathable and durable. Both bags are in stock for immediate availability and can be customized with a store’s logo. Customization is fast in the Bridal Outlet’s state-of-the-art printing facility, with turnaround time as quick as 3-5 days. As with all Bridal Outlet items, there are no minimums and most items ship the same day as ordered. To see the company’s complete line, visit www.thebridaloutlet.net, or call 800-758-8779 for a free catalog.